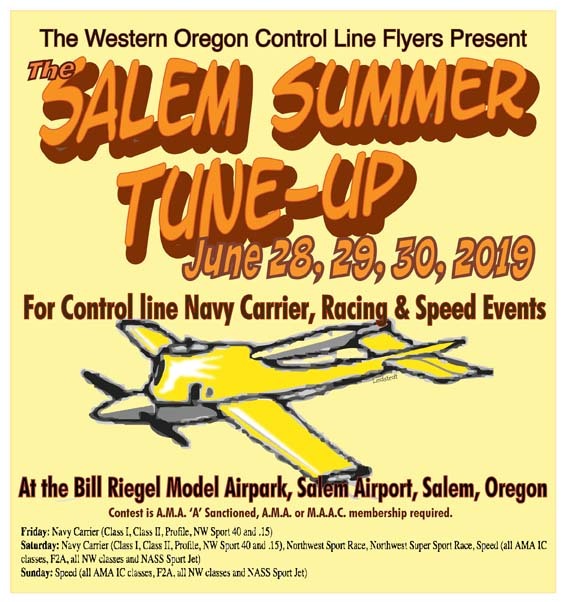 Paul Walker's 2019 Impact was featured here last week in an in-flight photo from the 2019 Jim Walker Memorial Spring Tune-Up in Portland, Ore. Here's a closer look at the plane in the contest pits. 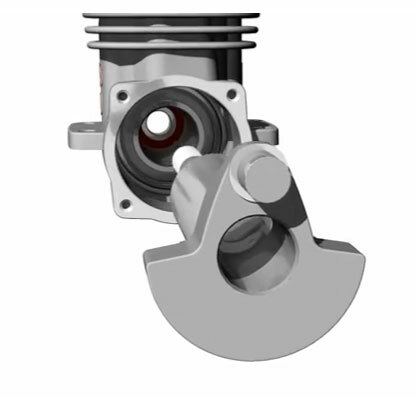 Interesting nose shape results from ground-up redesign for electric power. Flying Lines photo. Put your airplane photo here! Submit a photo of your latest plane our your favorite plane to Flying Lines! 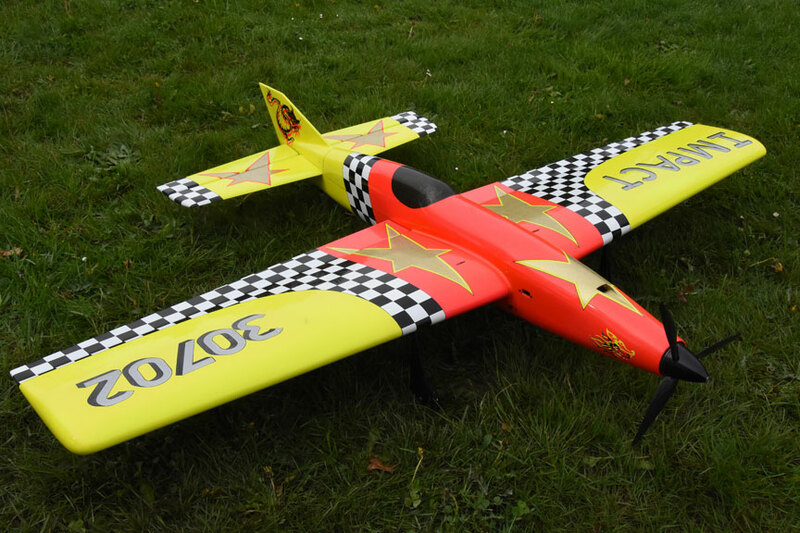 To see photos of great Northwest control-line model airplanes, see the Favorite Planes section. 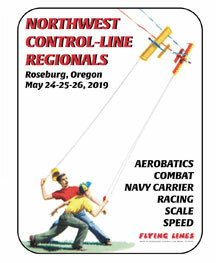 The Northwest Regionals is coming up! Download the discount advance entry form and mail in your entry. If you have an idea for an article, submit the text and photos to the FL editor now. For details on how to submit articles to FL, see the You Can Help page and the Guidelines for Submission of Articles page. Flying Lines is always interested in receiving comments, suggestions and contributions of materials for this website. Please Send the editor an e-mail with your comments and contributions. Flying Lines is updated almost daily. That means that there is something new almost every time you look at this website. In order to make sure you see the newest items, try this tip: After you open up a FL page, hit your browser's refresh button. This will make sure you're seeing the latest version of the page, not one stored in your computer's cache. This cartoon is from the Tom Wilk collection. The Wilk collection is available on CD from Eliminator Props.